Series of ads running in various publications such as Goodguys and Street Scene. 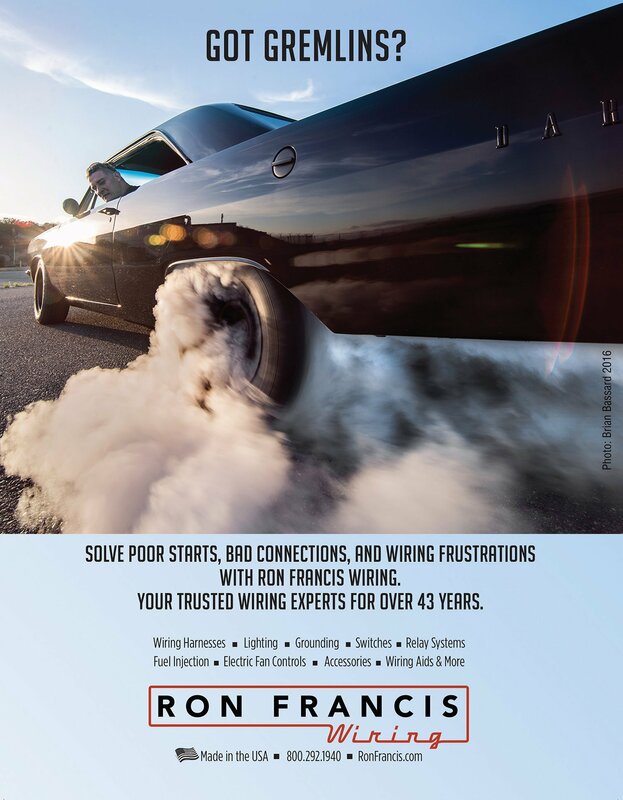 Ron Francis Wiring – the wiring experts with over 40 years experience. Click the image for larger preview. Created a series of ads running in various publications such as Car Craft, Chevy High Performance, Goodguys, Mopar Muscle and Mustang Monthly. Premium billet superchargers for the street market. 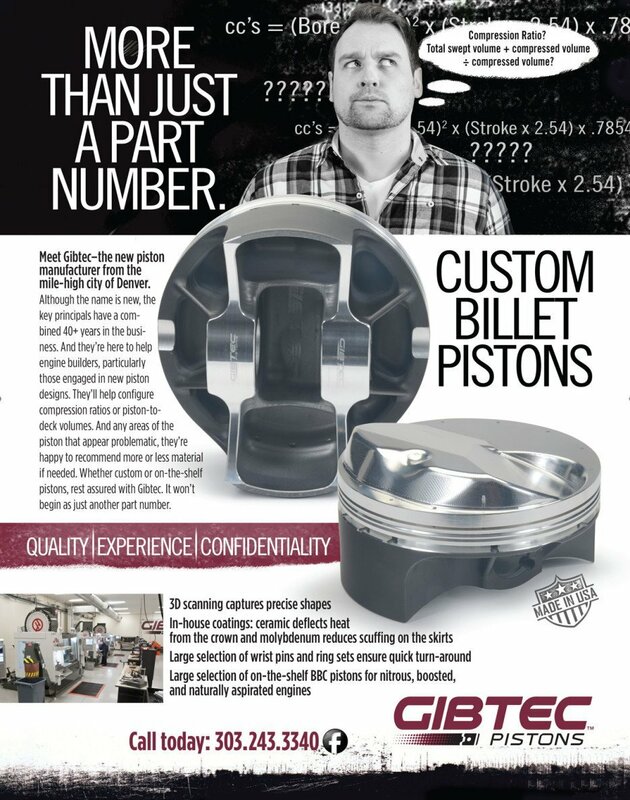 When ordering custom pistons, Gibtec pays special attention to customer service. In this full-page ad we demonstrated it by featuring a customer confused by compression ratios. We photographed the piston images and created this full page ad for Drag Racer magazine. 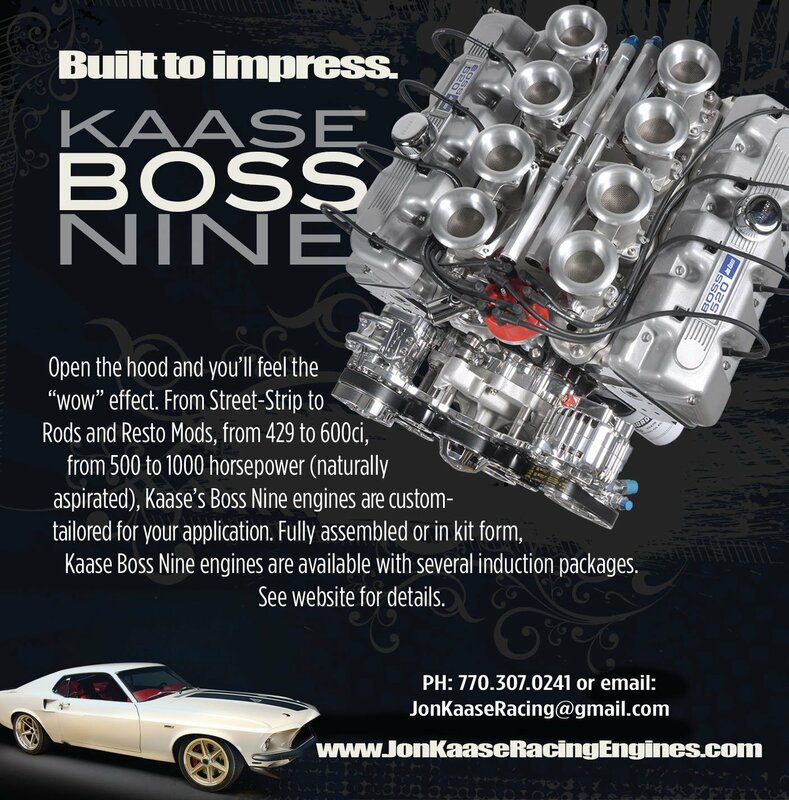 Jon Kaase, well known engine builder and 5-time winner of the popular Engine Master’s Challenge builds beautiful Ford V8 engines under the brand names: Boss Nine, P-38 and P-51. We photographed the engine and combined it with interesting graphics as a quarter-page ad for Car Craft magazine. KRC’s power steering pumps are believed to be the only adjustable power steering pumps to optimize the racer’s feel. 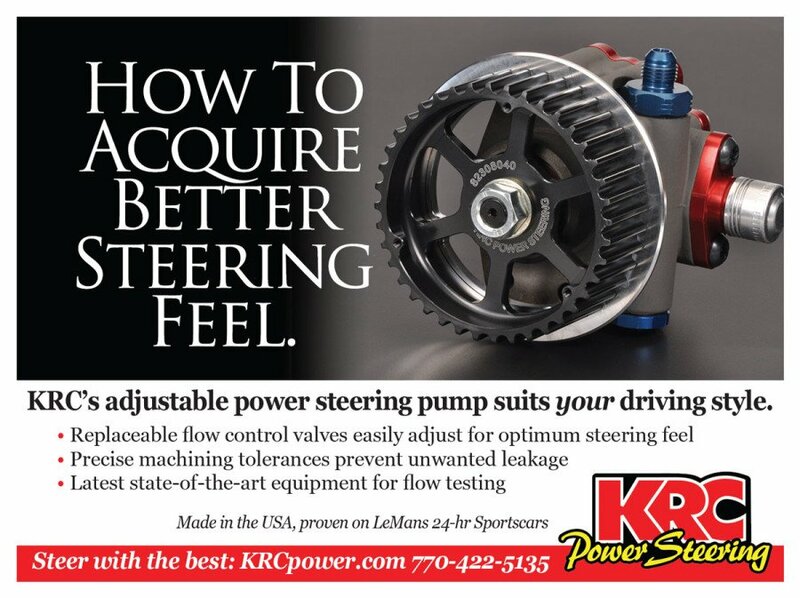 We created a series of ads for KRC’s pumps and pulley systems for trade and consumer magazines. For this project we photographed the sprint engine and combined it with interesting graphics to run as a full page ad in multiple national magazines. 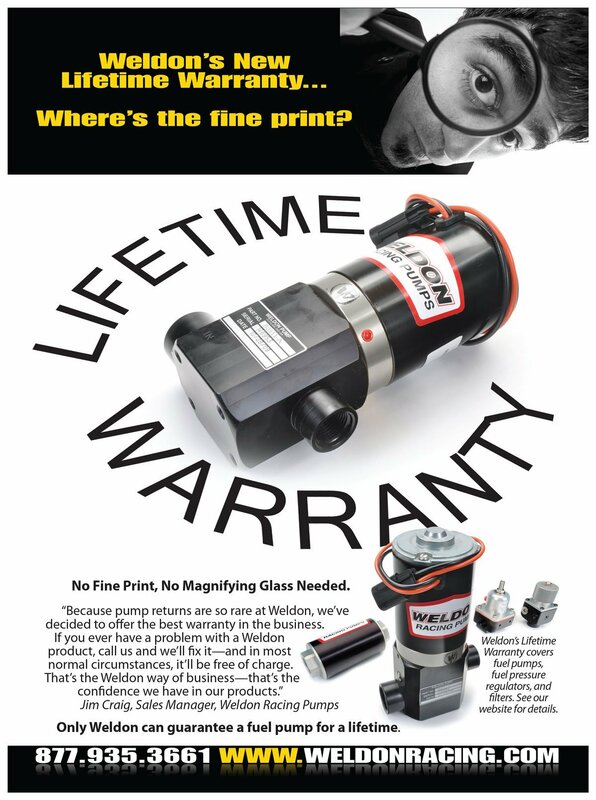 Weldon has the best warranty on their racing fuel pumps as this ad demonstrates. 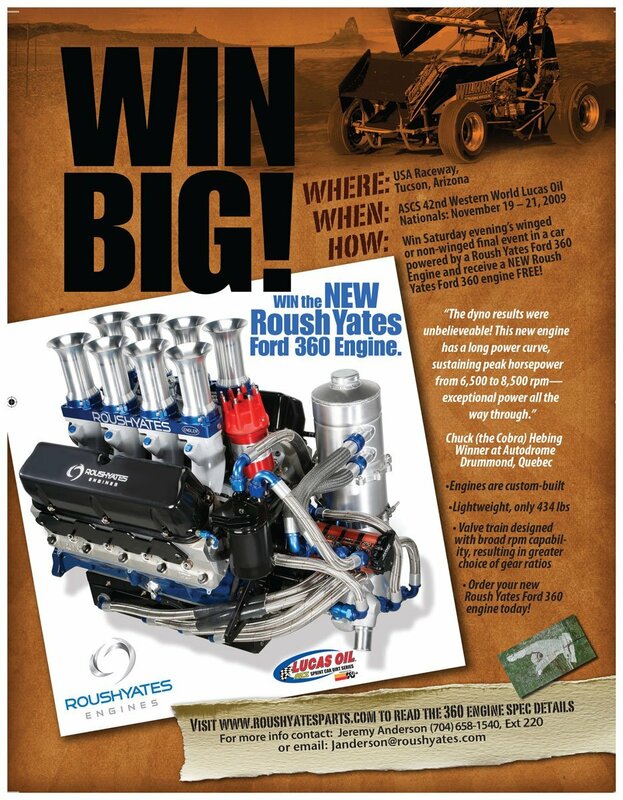 We photographed the pump images and created this full page ad for Drag Racer magazine. 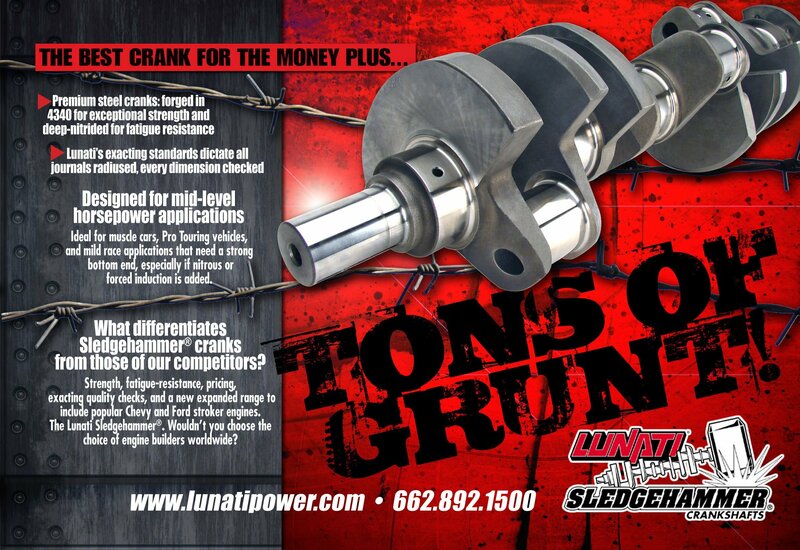 Lunati’s premium Sledgehammer steel crankshafts are ideal for muscle cars and mild race applications. We photographed the crank image and combined it with interesting graphics and provided key-selling copy features.